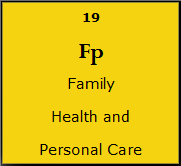 Family is the most important unit of society, this blog category will consist of three important aspect, which is family, health and personal care. MYP will share wellness tips to its members, we will also opt for remedies such as ayurvedic, chinese traditional herbs products among others. We will not dwell into traditionalism, but we will bring a blend of information that will suit all of our readers.